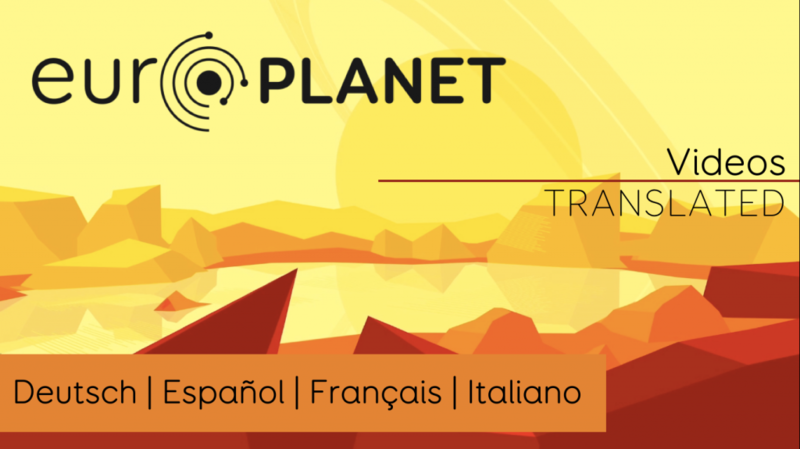 We are excited to announce that our animated videos (‘Jupiter and its Icy Moons‘, ‘Astrobiology – Life in the Universe‘ and ‘Space Detectives – the Case of the Rocks from Space‘) have been translated into French, German, Spanish and Italian! Now, with videos in a multitude of European languages we hope to reach more people than ever before and share what we can learn from extreme environments, space rocks and more. Keep your eyes on our YouTube channel and #EuroplanetVideos on Twitter to find out more!